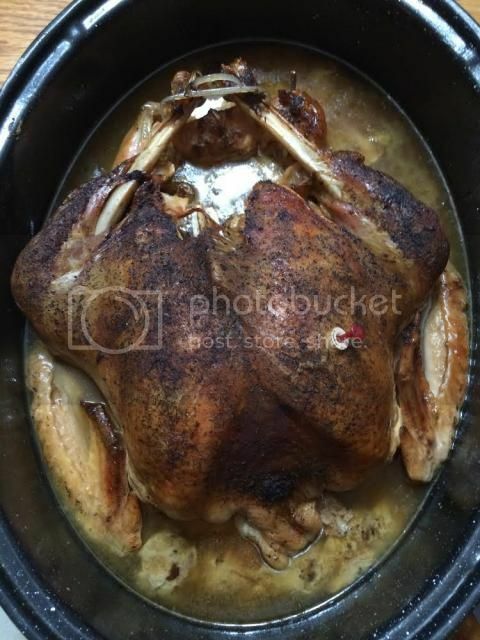 Place whole, frozen turkey (thaw enough to remove giblets bag from inside turkey); or a turkey breast, (easiest way) in a roaster breast side up. Sprinkle 2 TBSP. brown sugar into the broth. 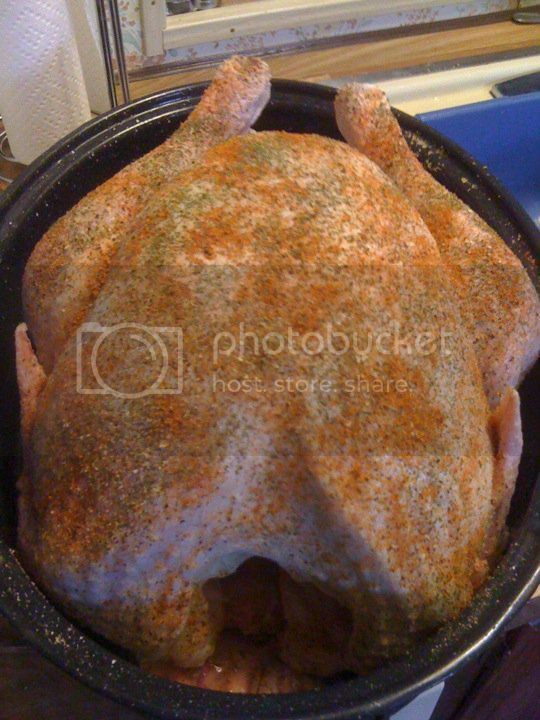 Rotisserie Chicken seasoning- until well covered! Put meat back into the broth in the roaster (or into a crockpot). Again- sprinkle with all the seasonings well over top. Add more broth, enough to cover the deboned turkey meat. Then add 2 Tbsp. of vinegar to the broth to tenderize the meat. Recover and bake until noon on 250 degrees. When ready to serve drain off the broth and thicken with cornstarch to make a gravy to eat with mashed potatoes. 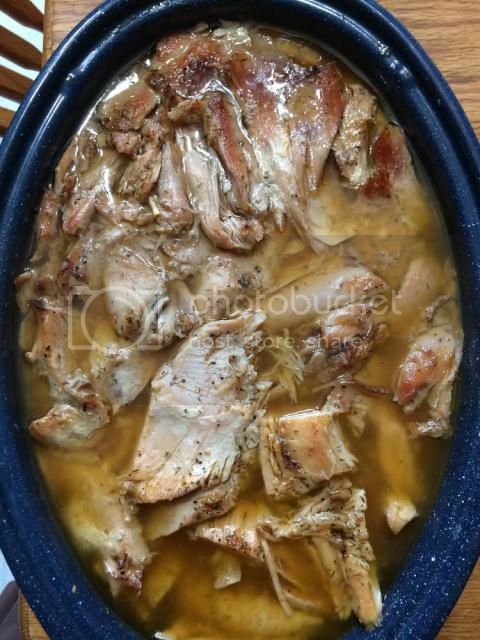 Makes a yummy flavored gravy and very moist turkey meat! Picked off and ready to eat!